Seasoned performance-driven IT professional with deep expertise in managing client engagements, ERP system implementation projects, cross-functional business teams, and software development teams. Performing as a Sr. Project Manager and Strategic adviser delivers the expertise companies look for to effectively organize, plan, and execute ERP implementations, merge business process with information system function, and manage global teams. Send a LinkedIn message and you can expect a prompt response. 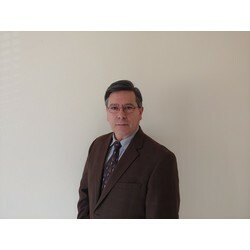 Hector Martinez began his career using enterprise information systems in the manufacturing industry. He then moved into Information Technology becoming an experienced software engineer. The extensive experience in both workflow processes and information technology delivers a unique talent to business entities and clients. KPIT is a global leader in providing Oracle ERP Implementation consulting and IT management services. SMI is a regional leader in providing Oracle ERP Implementation consulting and management services. SKM2 is a provider of IT project management and ERP implementation expertise. - Extensive customization to JD Edwards caused serious functional and data integrity problems. System performance and system capacity had reached critical levels. - Achieved system availability requirements by reducing nightly processing by 75%. 100% data integrity and reporting reliability attained. 80% increase in throughput AS400 server performance and 25% reduction in capacity usage. - Establish standard processes, implementation of quality control measures, delivery of business process analysis, solution design requirement specifications, and development schedule.